For a 10 Am appointment, I was taken to the examination room and was kept waiting. When I went around 10:45and asked them how long it would take the receptionist said the doctor is on his way from Long Beach. I cancelled the appointment. Horrible!! For a 10 Am appointment, I was taken to the examination room and was kept waiting. When I went around 10:45 and asked them how long it would take the receptionistsaid the doctor is on his way from Long Beach. I cancelled the appointment. Horrible!! What a great experience! Booked the appointment the night before on ZocDoc. The staff at the office were attentive and friendly.Dr. Morcos was friendly, personable, and most importantly, knowledgeable. Looking forward to returning in the future, which I rarely feel after a doctor visit. Highly recommend. What a great experience! Booked the appointment the night before on ZocDoc. The staff at the office were attentive and friendly. Dr. Morcos was friendly, personable, and most importantly,knowledgeable. Looking forward to returning in the future, which I rarely feel after a doctor visit. Highly recommend. N. Charle Morcos is an experienced primary care doctor specializing in internal medicine and cardiology serving his patients in Santa Ana, CA. Dr. Morcos is certified by the American Board of Internal Medicine and is Board eligible to treat cardiovascular diseases. Dr. Morcos is Spanish-bilingual, and he is affiliated with the Long Beach Memorial Medical Center, the Western Medical Center Santa Ana, and the Tri-City Regional Medical Center. 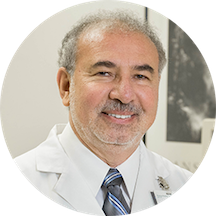 For the past 29 years, Dr. Morcos has been a clinical professor of medicine at the University of California, Irvine. He is also the president medical director at Edward Medical IPA and Archway IPA, the chief of staff and medical director and medical director of the cardiopulmonary department at the Tustin Hospital and Medical Center, and the director of cardiovascular basic science research library at the Long Beach Memorial Medical Center. Dr. Morcos earned his medical education from the University of California, Irvine, where he also completed his internal medicine residency. He then completed his cardiology fellowship at the same institution. Dr. Morcos currently practices at his private practice, N. Charle Morcos M.D., Ph.D., Inc.
N. Charle Morcos, M.D., Ph.D., Inc.
A very good doctor to visit with and receive care. Dr. Morcos was very knowledgeable and pleasant to talk to. Would recommend to other patients! Great doc, comfortable to talk to. The doctor was clearly inexperienced. Did not ask the necessary questions, did not help me at all. I'm back to where I was. Don't go to him! So far very good-the Doctor was very calming which I really liked. The doctor was very helpful but I waited over 30 mins to see him and the supporting staff is very young and unprofessional. As usual, --Friendly, competent and complete. Takes his time and is happy to explain any questions. Great and understanding. Asked a lot of questions and empathized with my concerns and feelings. Genuinely cared about my well-being and wanted to make sure I was taken care of. Loved Dr Morcos. Only issue when trying to set up a test at the hospital no follow through from the office. I couldn't believe what a compassionate, caring, kind, physician I was sitting with. He is by far, the BEST doctor I've ever visited in my LIFE. He took time with me [45 minutes] and listened to my concerns and issues. Thiswas by FAR, the best medical professional I've ever visited in my life and I am 60 years old. Best doctors visit I've ever had... I every regard. It was wonderful he truly cares about your concerns!! It was refreshing! Dr. Morcos is a consummate professional. He is extremely kind, patient, and knowledgeable. I was totally comfortable and relaxed during my visit. Great experience, highly recommended! He is extremely informative and I thought it would be different because I am on medical. If medical will let me make him my primary care doc that's what I will do! Doctor was very courteous. Did not rush anything and even recommended me to a specialist for my problem. Great office staff as well. Excellent family doctor. Needed to see him for my med refills. Had ekg and blood test done right away because I was a new patient. Going back tomorrow for more test for my heart condition. Very caring and very familiar with my diabetic problem. He is very intelligent but not condescending. Very nice and professional! Dr. Morcos was very nice and his staff was great. Another patient was ahead of me and his appointment took time, making the doctor late to see me. He was very apologetic, but was unable to see me for a long period of time due to the situation. Dr. Morcos was very thorough (as always), checking not only on my heart health but issues related to my knee and back pain and overall well being. I would highly recommend Dr. Morcos! Dr. Morcos is a gentle, thoughtful, experienced Doctor who is a clear communicator. I would highly recommend him. Very kind Doctor and office staff. I got a same day appointment which was really helpful. This guy is awesome. It was like I was hanging out with a friend. The staff is very helpful and they made me feel welcomed. He was a vary good doctor and took plenty of time to find out about me and my health conditions. He was also very informative and is extremely knowledgeable. In fact, he did some of the early research on a supplement I take regularly. I very much like this doctor. Dr. Morcos was very personable and spent time explaining the various health issues I face in a unhurried and comprehensive manner. He was genuinely concerned with me and listened very attentively while making a diagnosis and recommendingtests and medications decisively; all of which prompted my trust in him as a fine doctor. He was very attentive and knew exactly how to treat my ailments. I would highly recommend this doctor. Very professional but long waitti time. My appt was at 130 and didnt see him til 300. I went in for pain relief and was given ibuprofen that to my surprise actually worked. I was disappointed that i didnt get somethingstronger but he was right about the ibuprofen and now i dont have to worry about getting addicted and going through withdrawals so that was cool. He is a cardiologist and i was looking for more of an on going primary. I feel like i wasted my money since i paid cash and didnt really feel like i built a relationship with him. I dont feel like he did anything wrong though. I just think he is a different kind of doctor than i was looking for. I am searching for a long term doctor for my primary care and he seems to specialize in cardiology. Dr. Morcos was thorough and took time to listen to my concerns regarding my AFIB and INR. Dr. Marcos displayed a caring attitude towards me as a new patient. I'm very happy with his professionalism in caring for my health issues. Doctor Morcos and his staff were very professional. Dr. Marcos was attentive knowledge and charismatic and caring. I would most definitely recommend him to friends or family. Wish I would have found him prior to this but look forward to working with him on improving my health in the future. Dr. Morcos is excellent. He really knows what he is doing. I work in the medical profession so I know exactly what to look for in a doctor and he is it. He is very kind and very informative. I likedhow he took extra precautions just to make sure that I wasn't sick anymore. Dr. Morcos was very thorough in reviewing my 83-year-old mother-in-law's complex medical history. He ran baseline tests since she was a new patient and made modest changes to her existing meds. He was firm in his recommendation for her to geta hearing aid and a new walker to maintain/improve her cognitive and social involvement and her ability to increase her activity level, respectively. She really liked the doctor and his recommendations. Excellent experience all around! I saw Dr. Morcos for a general check-up. Some of the time he made small talk or comments to calm my nervousness, but I also felt patronized by him. He seemed to ignore many things I said because he seemed toalready have figured everything out himself. Before I was done explaining everything he was already headed out the door, without doing what I would consider a full check-up. He listened to my lungs but neglected to check my eyes, ears, nose, or throat. I wouldn't go back to him. Dr. Marcos was very helpful and friendly. I could tell he genuinely cares for his patients. I would recommend him to everyone! The staff was friendly and professional, as was the Dr. My only compliant was the excessive wait time considering the office was almost empty?